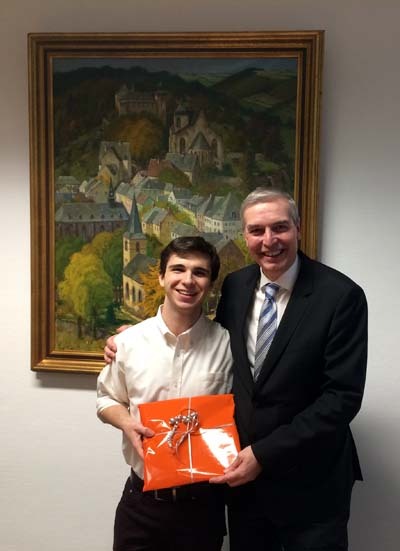 Last week I had the great opportunity of meeting with the Bürgermeister Udo Meister of Schleiden. We talked about my school and family life as an exchange student in Germany, my experience with learning German, life in the Eifel, and the awesome travel opportunities which I’ve had to date. We also discussed the Detroit area, the struggles of the recovering Detroit auto industry, and my hometown. It was a great pleasure meeting with Bürgermeister Meister; thank you for the warm welcome!